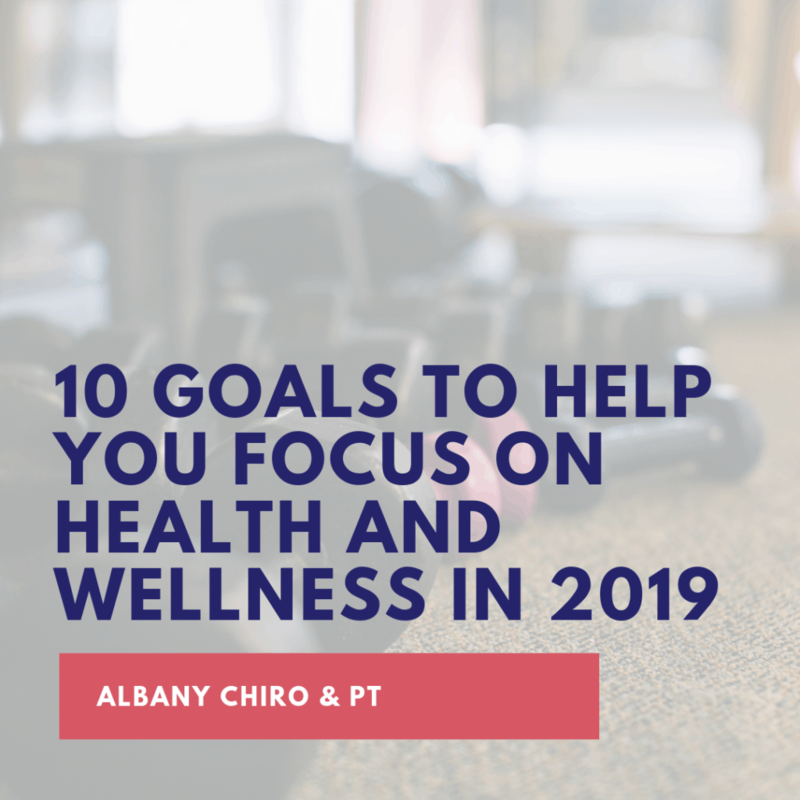 When considering your resolutions for 2019, you can promote a healthier lifestyle without focusing solely on fitness or dieting. There are a lot of other wellness goals you can set that are achievable but make an impact on your overall health. Below are some unique and manageable goals you can set for yourself in 2019 focused on wellness, not fitness. Cutting out complete food groups can be a rather difficult feat. However, incorporating more fruits and vegetables in your daily diet is a simple yet effective way to promote disease prevention, longevity, and overall wellness. Try having at least one or two vegetables or fruits with every meal, perhaps even swapping out unhealthy choices to make room on your plate. Drinking enough water helps to flush out toxins, increase your energy, boost your immunity, and improve your skin complexion. While the rule of thumb mandates 64 ounces of water per day, you may need more or less depending on your own personal situation, such as gender or if you are pregnant. Click here to discover how much water you should drink daily. If you don’t like plain water, try infusing it with different fruit and herb combinations, such as lemon raspberry or mint lime. You can use a water bottle like this one from Amazon to make your infusion process simple. Moreover, when you are considering your budget, going natural is best for you. It helps you save cost and at the same time promotes your overall wellbeing. 3. Find a workout buddy. One of the reasons why people don’t stick to their fitness routine is because they do it alone. You can easily tire out and lose motivation when you go to the gym by yourself. This year, find a workout buddy to make your fitness routine fun and push yourself to achieve the fitness goals you set together. A workout buddy can also help you conquer the anxiety of going to the gym. Find a space in your home or office where you can meditate daily. Meditation doesn’t have to be you sitting cross-legged on the floor; instead, you can try journaling, praying, or studying. Meditation can help you recharge and stay motivated. There are a variety of meditation resources, such as guided imagery, from iTunes. Headspace is one of the most popular guided meditation smartphone apps on the market. 5. Break down your goals into bite-sized pieces. Be realistic and don’t try to do too much. Instead, break your goal down into sub-tasks and goals that are short-term and achievable. This will get you adapted and prevent the loss of motivation, while also ensuring you don’t hurt yourself. 6. Go natural for your bath and beauty products. Some products that aren’t regulated can contain harmful chemicals. Consider swapping out your shampoo, conditioner, dish soap, and similar products with natural, organic versions. Some spices like turmeric, garlic, and cinnamon have a number of health benefits. For example, studies have shown that these spices contain antioxidants that help to lower inflammation. Experiment with different spices to create new flavors and promote a healthy lifestyle. Beans provide protein and are high in fiber, which is good for your internal body processes and systems. Incorporate beans into your meals to enhance their health benefits. For example, add white beans to soups to make them creamier or add beans to your favorite pasta or “zoodles” dishes. 9. Keep healthy snacks close. Sometimes you can get cravings for sweets or salty foods, especially is those items are typically in your diet. These cravings can tempt you to eat unhealthy foods, such as chips or candy. Keep healthy snacks close, like in your backpack, purse, and desk, to alleviate cravings with healthy ingredients. 10. Sip on hot water in the morning. Start your morning with a cup of warm water, perhaps flavored with fresh lemon slices, to increase your energy level and rehydrate your body to promote proper functioning of your systems and organs. This year, when setting your New Year’s Resolutions, don’t focus solely on fitness. Instead, consider overall wellness so that you can improve your overall health through manageable and achievable goals.